Supervise an inbound phone team, monitors employee availability throughout the day to ensure phone queue is adequately staffed to best serve patients with chronic illnesses. 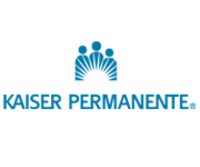 This position also oversee copay assistance and accounts receivable relating to patients out of pocket responsibility and reconciling balances for patients. This position continuously monitors and identifies areas in which day to day operational efficiencies can be increased, re-work can be decreased and overall production for the department falls within established productivity and quality standards. * Assists with the development of short & long-term goals for department and plan of implementation to bring to completion for on-going success of department. * Ensures the success of maintaining strong working relations with clients and prompt communication regarding concerns or problem resolution occurs. * Direct assigned team members in accordance with departmental management initiatives. Schedule & facilitate routine staff meetings to communicate department/company processes and/or changes. * Follow up with assigned coordinators to ensure policies and procedures are understood and compliant. * Provides department leadership in the area of staff performance including mentoring, auditing, productivity monitoring and coaching for success. * Corresponds with management on employee/HR issues, state of the department and any service issues involving key clients or legal risk issues to the company. * Analyze reporting data trends within team relative to quality to ensure efficiency and productivity requirements are maximized to benefit patients. * Provide feedback to team related to productivity and efficiency. Assist team members to resolve patient concerns and handling escalated issues relative to prior authorizations, benefits/eligibility, etc. * Monitor quality and case volume through the generation of client database and Call Center reports, random call monitoring and random case file audits. Express Scripts is a leading healthcare company serving tens of millions of consumers. We are looking for individuals who are passionate, creative and committed to creating systems and service solutions that promote better health outcomes. Join the company that Fortune magazine ranked as one of the \\"Most Admired Companies\\" in the pharmacy category. Then, use your intelligence, creativity, integrity and hard work to help us enhance our products and services. We offer a highly competitive base salary and a comprehensive benefits program, including medical, prescription drug, dental, vision, 401(k) with company match, life insurance, paid time off, tuition assistance and an employee stock purchase plan. Express Scripts is an equal opportunity employer/disability/veteran.